Conquer the Cords! This fully notched, smooth foam board is fully notched to allow you to work with or without pins. 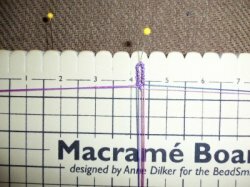 Mini Macrame Work Board approx 7.5" x 10.5"